To be the most technologically advanced, innovative and customer friendly IT solution provider organization and realize people their full potential to make others work easier and in efficient manner. 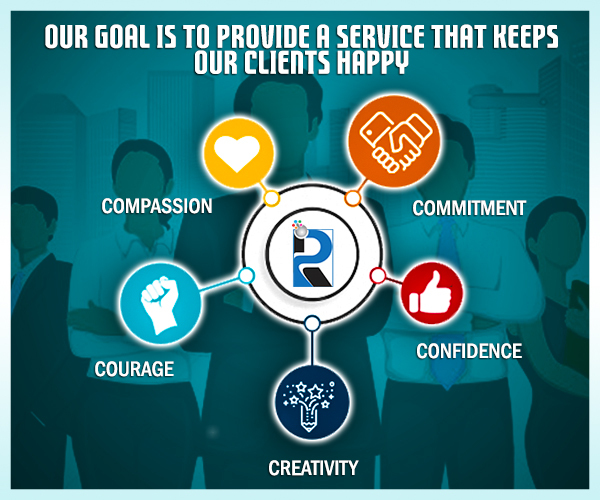 We aim to hold client's interest with cost effective services in the most fluent manner. We focus on delivering robust mission-critical products and solutions that enhance our client's abilities to attain organizational goals. We endeavour to provide best value services and solutions that place the highest priority on creative excellence, efficiency, and cost effectiveness. To be lead in the innovation, development and manufacture of the industry's most advanced information technologies, including software, computer systems, and storage systems. We translate these advanced technologies into value for our customers through our professional solutions, services and consulting businesses worldwide. We inspire individuals and organizations to work more effectively and efficiently, and create greater choice in the domain of work, for the benefit of all concerned.